I started off the year with every intention of writing 2,500 words a day of my new novel. I managed to sustain this, weekends excepted, for just over two months. I got 80,000 words written. I’m aiming for 150,000 words, though it make come out less than that. However, a number of things got in the way, and my daily regime went to hell. I’ve resumed writing. But, not being an outliner, I’ve found it much harder to keep the threads of the plot together. Although they are weaving together, albeit more slowly than at first. The point being that an outliner could maybe leave a book-in-progress and come back to it months later without difficulty. A seat of the pants writer like myself can’t do the same. Although, to be fair, I do a little outlining as I go, so I don’t have to re-read everything. It’s not at all easy. But it’s the writing life and I wouldn’t have it any other way. I felt reassured about the struggles of a writer, both the technical and emotional ones, by reading a blog posting by Colin F. Barnes, author of the Techxorcist series, among other things. He was trying for a million words in a year. That’s 2,750 words a day. Although he didn’t quite manage it, I have a huge amount of admiration for his efforts. Incidentally, Colin is generously giving away a free e-book version of Artificial Evil, the first Techxorcist novel – just drop him a line at his contacts page with the words “Free Artificial Copy” as the subject – offer ends 1 January, 2014. I’ve just starting running creative writing classes for Bulgarian teenagers who are learning English. The young people at the American College Arcus in Veliko Turnovo, Bulgara, range in age from 15 to 17. They are great students, and the reading aloud segment in the first week uncovered a few kids who are born actors. Keeping their enthusiasm levels going, though, will involve not just creative approaches to sparking their interest in creative writing, but finding things besides their set texts which will feed their imaginations. 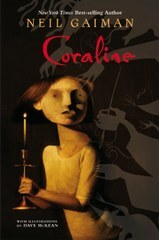 At the end of each of my six classes in week one, I read aloud the opening passages of Neil Gaiman’s Coraline and Brandon Sanderson’s Alcatraz Versus The Evil Librarians. The class loved them. One of my colleagues has asked for recommendations for other YA books her students might enjoy, so I’m looking for recommendations. They could be e-books, or books that are low priced (budget is a consideration). Free ebooks are fine – so long as they are good. I will, of course, recommend the school pick up copies of these two great books also. Please give me your thoughts and ideas in the response to this post. Everyone who posts gets a free copy of the ebook version of my short story collection, Dr. North’s Wound and Other Stories. Can We Save Science Fiction? My first blog post on Adventures in Scifi Publishing has been getting some great, interesting responses. “Clinging to the Wreckage: How to Save Science Fiction” is about the current state, perceived or real, of science fiction. Is straight-ahead science fiction on its way out, as fantasy comes to the fore? Or are genre mash-ups the way forward? Or are zombies eating the brains out of the genre? I hope you will check out my posting, and maybe pitch in on what’s proving to be a lively discussion.